A French postman has been found guilty of stealing over 13,000 letters and keeping them hidden in his home. The postman, who lawyers claimed suffers from “compulsive hoarding disorder” received a suspended sentence and was fined $4,500. The court in Thionville, north-eastern France, gave the postman a six-month suspended sentence on Tuesday. The man, 62, whose name is not disclosed, had been under suspicion for years and was eventually caught in 2011 when La Poste (French Post) prepared a trap. They used a letter containing a substance which stained his hands and clothes, so he was caught red-handed. "He told police he was attracted by the color and shape of certain letters, like a magpie drawn towards shiny objects," Jeanmaire said. "If it was just stealing money, he would have opened everything, and above all, he would have got rid of the letters." However, the lawyer for La Poste Sandrine Crucy suggested he had a financial motive as some of the letters contained money which the postman used to pay for petrol. "His behavior was a little curious," Crucy said. French post has promised to return all the letters to the addressees, some of which were sent in 2001. The court in Thionville awarded €900 in moral damages to a small group of claimants, although over 550 people have demanded compensation. It’s not the first case of a hoarding postal worker in France, last December over 23,000 letters were found in a post woman’s home in the Bordeaux region. 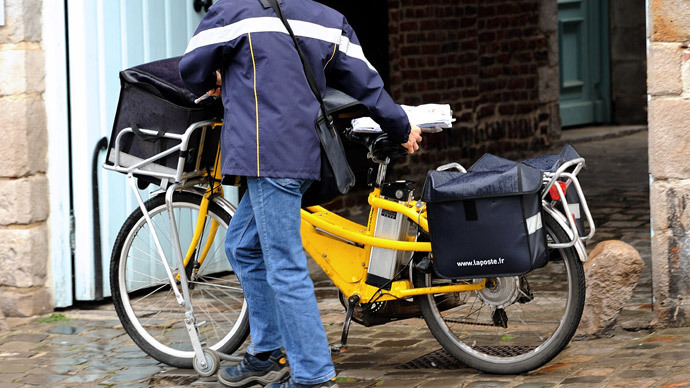 Postmen in France swear to scrupulously protect the items they carry and the secrecy of the correspondence. The tradition dates back to 1790.